Learning programming should occur through doing not through seeing. In my experience active programming activities are a much more effective way to teaching then passively showing already written code on a PowerPoint slide. Never teach an example that you can’t program yourself in the classroom. This rule helps me avoid the use of overly complex examples that maybe difficult to follow (which is an easy way to demotivate students who are new to programming). 5 years ago I wrote a blog post titled Top 4 Reasons to Study Computer Science at UOIT. Since then a lot has changed and I thought it was time to write an updated post! Why should I choose to study Computer Science at UOIT? 1. Reputation and national ranking. This semester I decided to try using Slack as an alternative communication channel in an upper-year university course that I teach. I’d already been using Slack in my research lab and I was familiar with the features and I thought it might translate well to the university class setting. The one disclaimer I would offer to anybody considering using Slack is to make sure that you use any technology to improve learning don’t just use technology for the sake of it. Every morning I read through my favourite technology blogs and one series of blog posts that I confess to enjoying are the Featured Bag posts on Lifehacker. These are basically a series of posts where different people from different jobs/walks of life describe the kind of bag they use and what they keep inside it. I find this interesting because I’m always looking for ways to ensure that what I carry to and from work, to research meetings, and to conferences is lightweight and maximizes functionality. 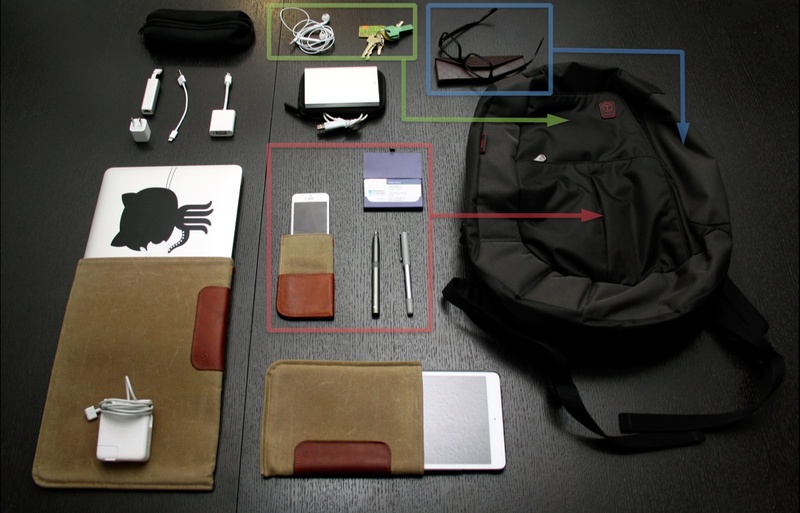 A collection of user submitted bags/backpacks can be found on the Lifehacker Go Bag Show and Tell (hosted on Flickr). Today I read an op-ed article in the New York Times titled “How To Get a Job at Google”.